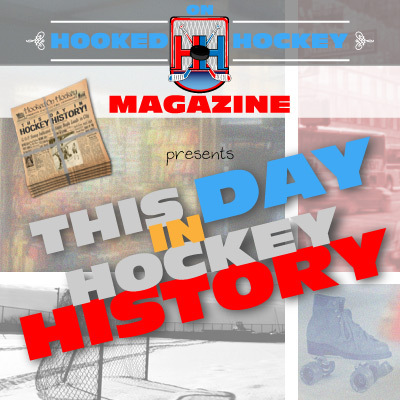 Today in hockey history, the first winner of a yearly award, a heroic effort on the losing end of a Stanley Cup championship, a team makes the Finals for the first time and then some, a Pittsburgh first, and solid goaltending record by a goalie that was great for the Senators. May 10, 1954 – Detroit’s Red Kelly was named the first winner of the Norris Trophy, the seasonal award for the best defenseman named after James E. Norris, the owner of the Red Wings from 1932-52. Despite being awarded 58 times, the Norris has been won by only 24 different players, probably because Bobby Orr won it a ridiculous eight times, and also Niklas Lidstrom getting it seven times and Ray Bourque five times, meaning three players have won it a combined 20 of a possible 58 opportunities. May 10, 1973 – Chicago’s Pit Martin scored a hat trick in his team’s 6-4 loss against Montreal in Game 6 of the Finals. Yep, he scored three goals but his team still lost…not only the game, but the series. The win made the Canadiens the 1973 Stanley Cup Champions. May 10, 2001 – Darius Kasparaitis became the first defenseman in Penguins’ history to score a playoff overtime goal as Pittsburgh beat Buffalo 3-2 Game 7 of the conference semis. Yep, the guy whose name sounds like some kind of exotic disease was the first Penguins to be a playoff overtime hero. May 10, 2003 – Patrick Lalime set a playoff record by allowing only two goals in the Senators 3-2 win over the Devils in Game 1 of the conference finals, the first goalie to allow two goals or fewer in 11 consecutive games. That’s a pretty interesting and impressive record to hold.